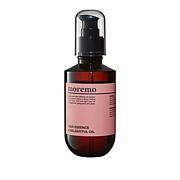 Moremo Hair Essence Oil - 2.37 fl. oz. 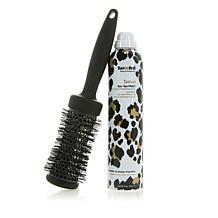 A styling spray designed to enhance hair and offers beautiful definition and polish to your look without making hair sticky or dull. 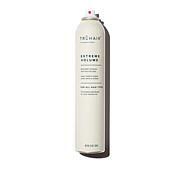 Hold can 10 inches from hair and spray evenly through roots to mid-length. 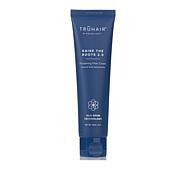 For volume and texture, spray on dry hair. 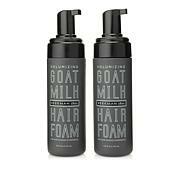 Ingredients: Hydrofluorocarbon 152A, Dimethyl Ether, Alcohol Denat., VP/VA Copolymer, Calcium Carbonate, Dimethicone, Alpha Keratin, Panthenol, AMP-Isostearoyl Hydrolyzed Wheat Protein, Salvia Officinalis (Sage) Leaf Extract, Melissa Officinalis Leaf Extract, Juniperus Communis (Juniper) Fruit Extract, Geranium Maculatum Extract, Fucus Vesiculosus Extract, Echinacea Angustifolia Extract, Chamomilla Recutita (Matricaria) Flower Extract, Calendula Officinalis Flower Extract, Arnica Montana Flower Extract, Aloe Barbadensis Leaf Extract, Tocopherol, Helianthus Annuus (Sunflower) Seed Extract, Tocopheryl Acetate, Ethylhexylglycerin, Parfum (Fragrance), Aqua (Water, Eau), Glycerin, Acetyl Triethyl Citrate, PEG/PPG-17/18 Dimethicone, Butylene Glycol, Benzophenone-4, Phenoxyethanol, Chlorphenesin, Sorbic Acid, Benzoic Acid, Linalool, Hydroxycitronellal, Limonene. 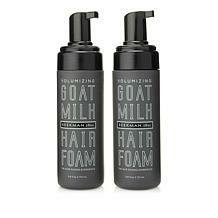 Love, love the feel of my hair after using! Going through menopause and I feel like my hair went back in a time machine because its nice and thick again. So glad I got it, thank you Virtue team! Remind me about Virtue Labs upcoming shows.